Although WRC did not make the trip to St. Catharine’s this year, a number of Winnipegs took part in the 128th Royal Canadian Henley Regatta. Claudia Blandford, racing for Ridley Grad, took gold for the 3rd straight year in the Under 23 Womens Single. Claudia rowed in four finals at Henley, including earning a 2nd place finish in the Senior Womens Single. Rowing out of the Don Rowing Club, Natasha Tersigni made it to the semi-final of the Under 23 Women’s Single. Anthony Linton, joining his University team mates from UVic, placed 2nd in the Under 23 Mens Eight event. 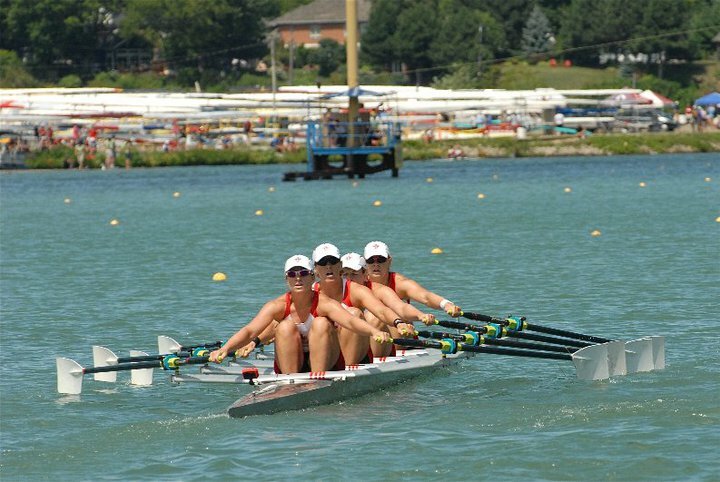 Three WRC members wore the maple leaf rowing for Canada at the Regatta. Rowing in the Championship Womens Eight, Janine Hanson took first place, 13.8 seconds ahead of the USA National Team. Emily Cameron, in her first appreance in a Canadian national team crew, rowed two exibition events in the Womens Quad and Womens Double, placing third and fourth respectively. Meghan Montgomery raced in the Adaptive Coxed Four.